Yes indeed, it is that time once again for a refreshing of the grand and exceedingly resilient Xbox Live Arcade thread. While I have toned down my XBLA coverage and indeed overall GAF posting due to burnout, my job taking up more of my time, and various other factors. I have not forgotten about this yearly tradition. Also, if you guys want to do it like last year where the OP got stuffed with the notable Q1 and Q2 XBLA releases, with screenshots and everything, we can do that. Still, here is to what appears to be another fine year of XBLA releases. I love you Xbox Live Arcade OP:s! keep up the good work! XBLA is shaping up to be great this year. Can't wait! I'm definitely more excited for downloadable games vs. retail for 2012. On XBLA I'm mostly looking forward to FEZ and Spelunky HD. I'm looking forward to this game called Dust. I don't really need an opening like last year's with pictures and other information but if someone has a fairly handy list of announced (likely) releases for 2012 to put a bit of a frame of reference for what we've got coming I'd like to see that. And honestly I'm only talking about the titles that are already looking promising and not stuff that's announced but look like trash. I'm thinking of that Double Dragon remake or whatever that was. So, good games we're looking forward to? Fez, The Witness, Dust: An Elysium Tale (correct title? ), Spelunky HD, and...what am I forgetting? I'm sure there's a bunch of others and that's why I'm hoping someone either already has a list or would enjoy researching and putting together a decent list. I'm still looking forward to an XBLA release of Capsized despite it being available for cheaper on PC during sales and such. Man, I have to play that every day.. Oh, wait, I mean it's great It's coming out in 2012, promise. Those are the 2 games I'm looking forward the most as well... Also Retro City Rampage. My XBLA wish for the year: Shadow Complex 2 announcement. Edit: Oh and that Alan Wake game. This year is going to have some total Gems, here's hoping they come out. Have you been testing it out with an arcade stick? Are they really calling it "Spelunky HD" now? You know, with the HD added at the end. That's pretty shamelessly copying PS3's "Spelunker HD". Waiting on some news of Simpsons Arcade making it to XBLA. It was rated in Australia a few months ago. 2012, XBLA's year of forever? Between FEZ and Alan Wake, it's looking that way. 2011 has been the best year for XBLA so far imo. Nice. Can;t wait. Lets go Fez and Wake! when does choplifter hd come out this month? i am dying to play it. one of my favorite games on the master system when i was a kid. thanks in advance. Go go new Alan Wake title, tell me your price! No need for a detailed OP, just a place to post. Last year was amazing but this year...wow. Yeah I hope that crazy zombie MMO type thing comes out this year. Fez and Alan Wake should also be amazing, not to mention whatever surprises are in store. A few really cool looking games coming this year, hopefully live up to the promise. Still so many games from the 2011 OT that we are waiting for. Something that should have happened in 2007, but better late then never. Gatling Gears is a must buy if it's on sale, as is NBA Jam and possibly Microbot. The other games are pretty meh in my opinion. Anyway, any release this week? Trials Evo? AW: AM? Wrecked? Have quite a few points stocked up for this year's releases. Fez better live up to the hype! Damn, was hoping it would be out very soon like in a couple of weeks or perhaps even this week. Unrealistic, but damn it I wanted it. Whatever they do release had better be good, they need to start the year with a big release. A sign of things to come from the service. NFL Blitz is this week. I'm guessing there's still no new info on this yet ? Ugh. I don't know why I even bother getting my hopes up. Any fighting games coming out other than virtua fighter? Fire Pro Wrestling, unless they've quietly canned it. Wouldn't be surprised if they had, wasn't looking too hot the last time they showed it off. Every year is the best year of XBLA games. When is FEZ expected, Summer of Arcade? Will we ever get a Shadow Complex 2? Are we actually going to get Fez this year? The game's been shown in 100% content-complete form at a show now, apparently, so I'm pretty sure the answer is "yes." Totally forgot about Class 3! The most interesting zombie game concept out there. Blitz it out on Wednesday?!!?! I hate the fact I feel like I have to ask this now but it's a world wide release yeah? News item of the year right here. Can't wait. Don't you know any children you can exploit? Whip them until they're proficient programmers! Has Blow confirmed the platforms for The Witness? I'm guessing that's a lock for XBLA GotY assuming it's coming to XBLA. 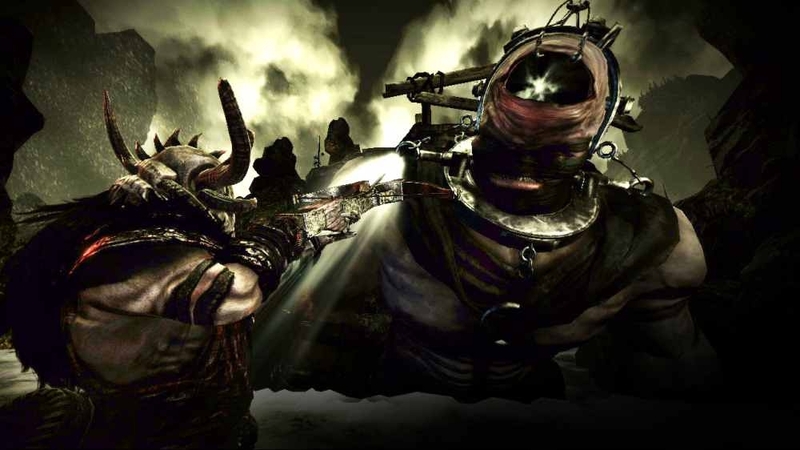 ...though Blow had intended to create versions for the Xbox 360 and PlayStation 3 consoles, he later opted to forgo development on these, believing the consoles unable to perform what he needed the game to do. More likely for PC and not consoles. And there is no way it will win goty with all the other amazing xbla content. I don't care as long as it comes to PC. And if that wiki page is to be believed, the game may be quite the looker. Can't wait to see it now. And FEZ, nothing else matters. Just make the sandwich and I will eat it. Bloodforge is this year as well.